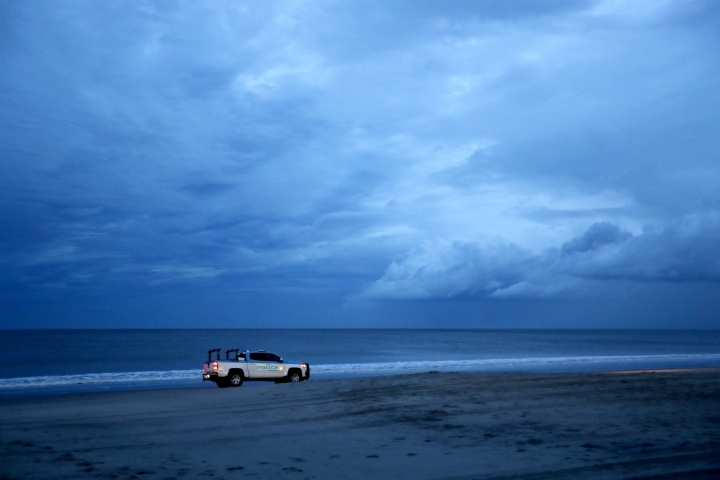 MIAMI — It's about the water, not the wind, with Florence making an extended stay along the North Carolina coast. 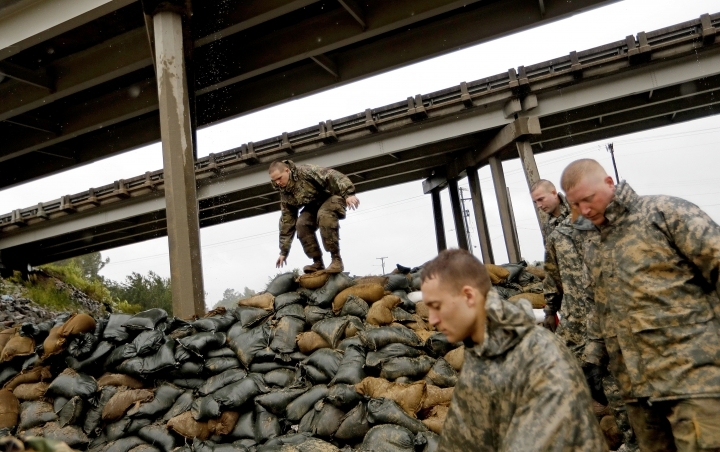 Forecasters say "it cannot be emphasized enough that the most serious hazard posed by the slow-moving storm is extremely heavy rainfall, which will cause disastrous flooding that will be spreading inland." 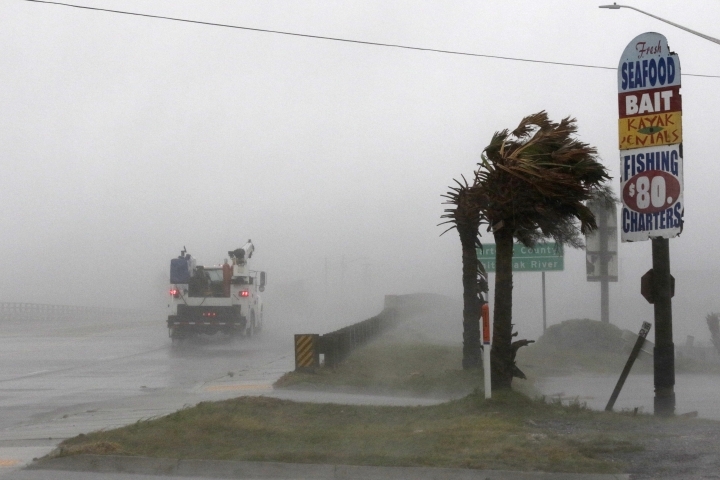 Officials also have confirmed the hurricane's first known fatalities. —Intensity: Florence came ashore with top winds of 90 mph (145 kph), below the 111 mph (178 kph) threshold for a "major" hurricane but still extremely dangerous. 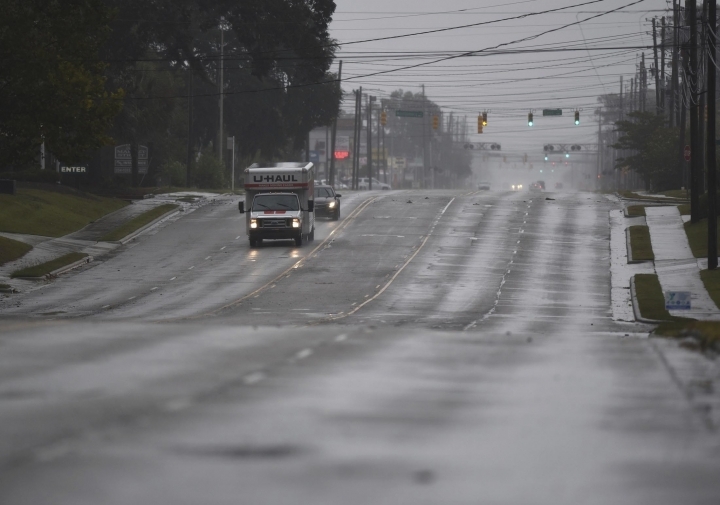 It was downgraded Friday afternoon to a tropical storm with winds of 70 mph (110 kph) before its core slogged into coastal South Carolina hours later. Police in Wilmington, North Carolina, tweeted that a mother and infant died when a tree fell on their house; the baby's father was injured. Officials also said one person was electrocuted in Lenoir County while plugging in a generator in the rain, and a man died after being blown to the ground while checking on his hunting dogs. Picture the entire state of Texas covered with roughly 4 inches (10 centimeters) of water: that's Florence's rainfall forecast over a week. Meteorologist Ryan Maue of weathermodels.com estimates Florence could dump about 18 trillion gallons (68 trillion liters) of rain. That's still less than the 25 trillion gallons (95 trillion liters) Hurricane Harvey dropped last year in Texas and Louisiana. 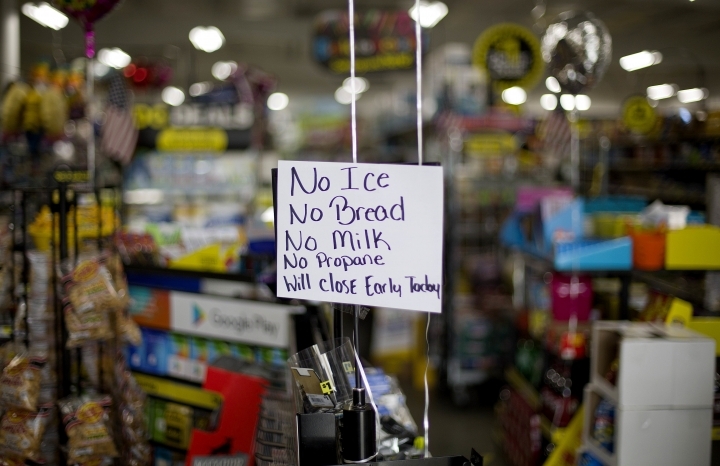 The Federal Emergency Management Agency has set up a "rumor control" website to quash false information in Florence's wake. The page says service animals aren't barred from evacuation shelters, beaches shouldn't be used for sand bags, and evacuation orders aren't enforced by FEMA. It also responds to criticism about money diverted from FEMA to federal immigration authorities. If Florence doesn't wipe out oceanfront homes on stilts along the Carolinas coast, rising sea levels will . 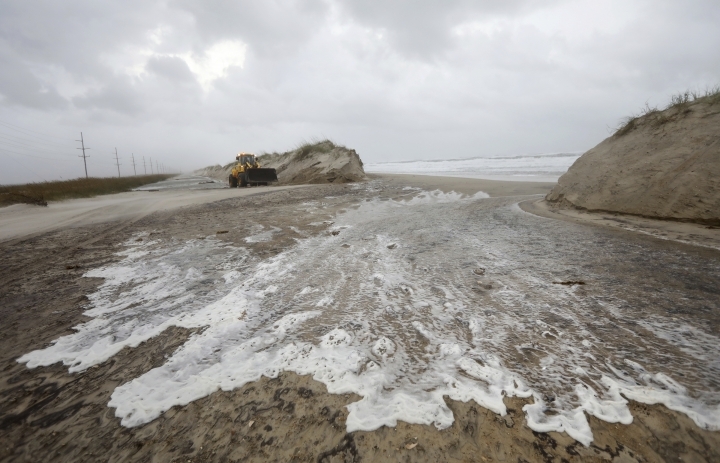 Florence lashed low-lying barrier islands that experience some of the fastest rates of sea level rise observed anywhere in the world, nearly an inch (2.5 centimeters) a year. 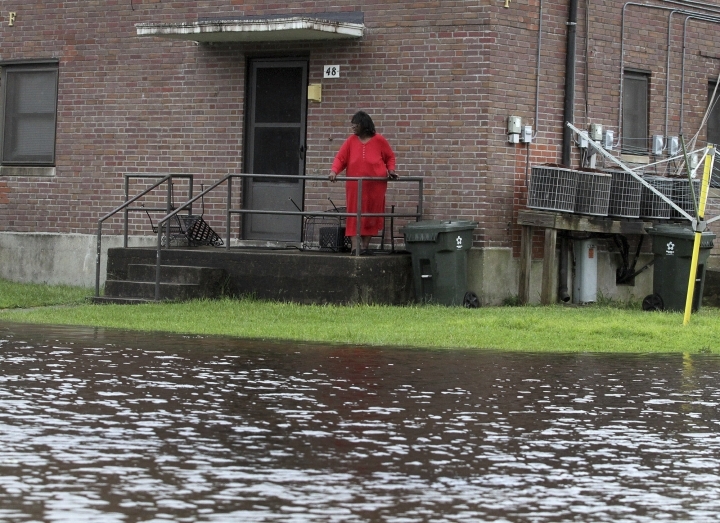 "WE ARE COMING TO GET YOU" — that's what the city of New Bern, North Carolina, tweeted after hundreds of people needed rescue from rising waters from the Neuse River, and a TV station had to evacuate its newsroom in the middle of its hurricane coverage. 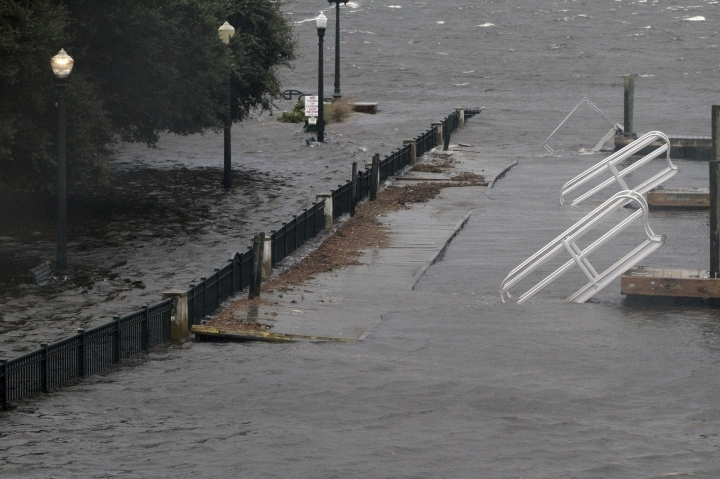 The National Weather Service measured storm surge in New Bern at 10 feet (3 meters) deep. Scientists can't say — yet — that climate change helped make Florence worse. 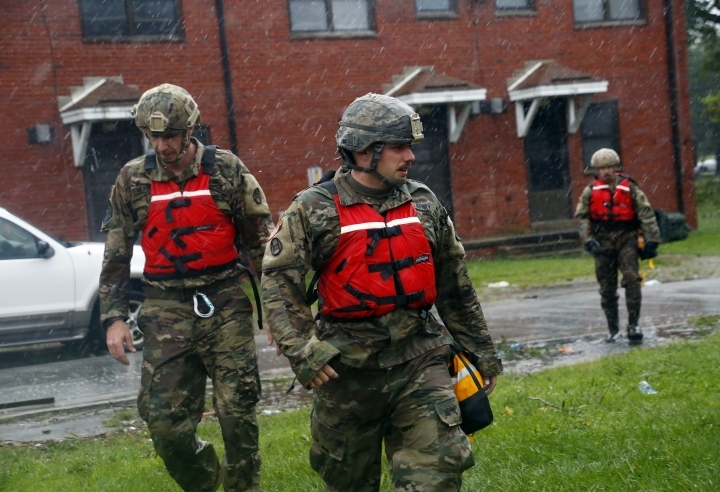 But previous research has shown that the strongest hurricanes are getting wetter, more intense and intensifying faster due to human-caused warming. Sea level rise also adds to storm surge damage : When Hurricane Sandy hit in 2012, a study found sea-level rise over the 20th century caused more than $2 billion in additional damage in New York City due to the "extra" storm surge it generated. 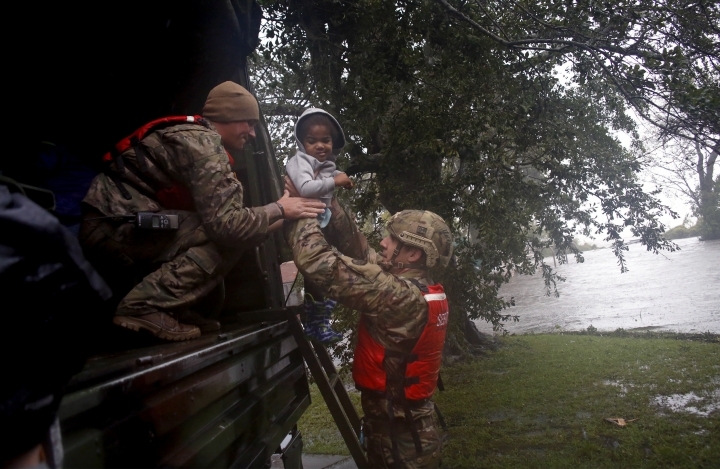 Hurricanes usually drive people away from Florida, but Florence is making the Sunshine State into a refuge for people from the Carolinas. Cruise ships have diverted to Florida away from the storm's path, and some hotels are offering special discounts for evacuees. What could be better than riding out a hurricane at Walt Disney World ?